MASKerade: MFTWSC247 - Happy Birthday! 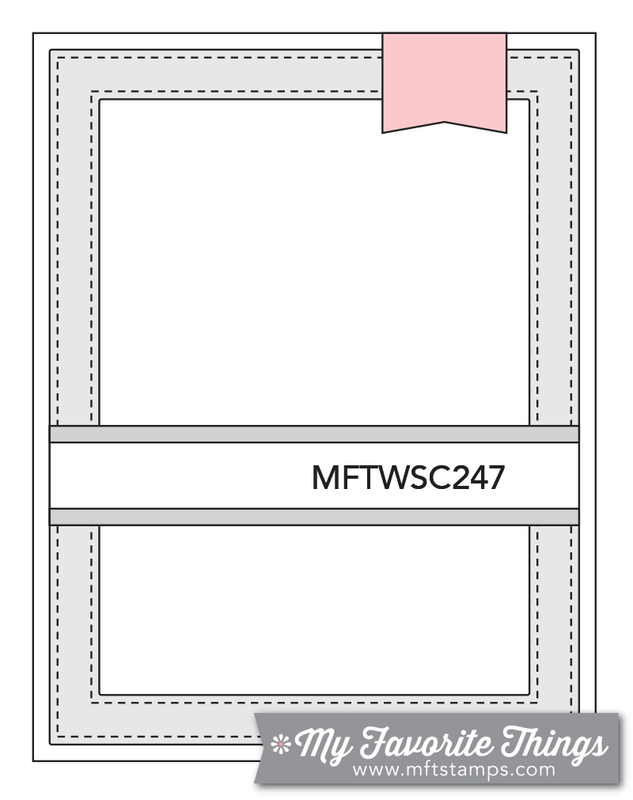 This is my card for this week's MFT Wednesday Sketch Challenge. I have to admit that all the Guest Designer activity this month has kept me busy with new-new products and that has meant that many of my old-new products (from July and August) have not yet seen any ink! The balloon is cut out of red acetate and inlaid into the edge of the white panel. 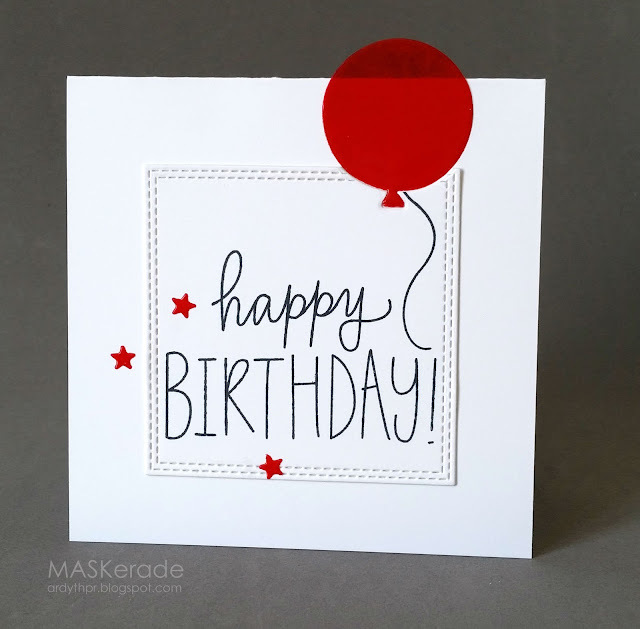 I actually had the idea to use the acetate as a shiny, vinyl-looking balloon for this card, but got 'stuck' (ironically), when I couldn't figure out how to adhere it to the card. My good friend Natasha helped me out with a sheet of two-sided adhesive and I love how you can see through the acetate where it pops over the edge of the card. 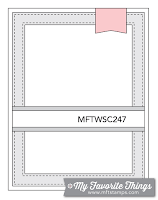 It will still fit into a 4.25x5.5 envelope because the card base is a 4.25 square. Rather than sequins, I cut 3 little stars out of scraps of the acetate and adhered them the same way, to add a little more colour. Love this, Ardyth! Amazing what a few pops of red can do to a very CAS card and I love the inlaid balloon overhanging the edge. I like the balloon floating off the card, this is wonderful Ardyth! love that acetate balloon! great card! Here is a perfect example of why your famous little 4.25" cards are perfect, Ardyth!! LOve that balloon - gorgeous acetate! Bold, simple and just fab! My new #1 Favorite Ardyth Card!!! Clean, sharp, fun....love, love, love the simplicity...and the cool balloon that is floating away! I love this. Where do you get colored acetate? It seems like it would be fun to use. Thanks so much.